Apple with the iPhone XS and XS Max introduced the ability to control or adjust the depth of field of an image after it has been shot. However, a new report suggests that Apple is also planning on letting users adjust the depth while taking the picture. The feature is currently available in iOS 12.1 beta 1, meaning that Apple is using its iOS software to implement the feature. With the current setup, controlling the depth of field control is only supported after an image is clicked in the Portrait Mode. You will have to take the picture, then tap on ‘Edit’ button to adjust the depth. 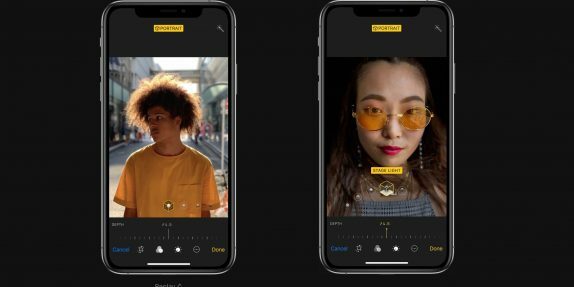 However, the iOS 12.1 update is expected to let users control the depth of field directly while taking images. Apple will add a new slider button allowing you to access the depth control tools. Since Apple has mentioned such a feature, this type of depth control will be possible in the future directly when taking pictures. A software update in the future will bring in the new slider directly into the camera app. However, Apple did not mention in which version of iOS 12 this feature would be rolled out but confirmed it will be released later this year. This feature would be available to everyone, not just beta users. It will be a part of an iOS 12 update later this year.